SEAMAN JOB INFO - Posted/Feb/2019 Available jobs hiring for Indonesian seafarers crew join on container ship deployment A.S.A.P. 1. MASTER AND CHIEF ENGINEER CLASS 1 SALARY Rp. 50.000.000,- (IDR) EXCLUDE PREMI FOR BULK CARRIER AND SUPER CONTAINER SHIPS DWT 40.000. 2. 2ND ENGINEER AND A CHIEF OFFICER CLASS 1 FOR BULK CARRIER AND SUPER CONTAINER SHIPS, Salary 35.000.000 (IDR). BY. WA to 082139315931, CONTACT PERSON M. RIZQI, RECRUITMENT HP. WA: 082139315931. 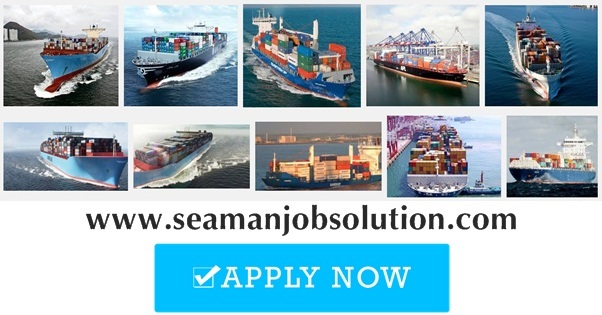 0 Response to "Hiring Indonesian Seafarers Crew For Container, Bulk Carrier Ship"